Several areas of dentistry are offered in the surgery. 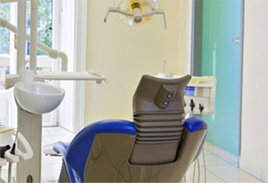 Aesthetic fillings, root nerve treatments, prosthetics like full ceramic crowns, bridges, removable prosthesis, removing tartar using ultrasound, extractions and implant treatments are all offered. Our surgery also specializes in Periodontology.